Cars for Stars (Wirral) is a fully licensed, full service private hire operator providing VIP travel and ground transportation services for VIP's, celebrities, diplomats, Members of Parliament and the House of Lords. Over the years, we have gained a great deal of experience in providing a first class travel experience to some very important people. In addition to a professional and attentive service, Cars for Stars have available a wide range of chauffeur driven vehicles for hire, which allows us to provide the fleet flexibility to meet the needs of the vast majority of our clients. 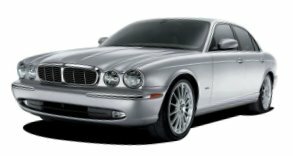 We can offer a range of long wheel based versions of the Jaguar XJ, Mercedes S Class and BMW 7 Series, in addition to top of the range vehicles such as the Maybach, Rolls Royce Phantom or Bentley Arnage (available through our Head Office). Cars for Stars (Wirral) is also please to be able to offer a range of late model, high quality stretched limousines where required. Because Cars for Stars (Wirral) is an integral part of a much larger franchised network, we are better positioned than most to deliver the type of service and vehicles demanded by all of our important customers. Whilst the vehicles featured on this website are available through the Cars for Stars network, they may not necessarily be operated by Cars for Stars in (Wirral), in which case they may have to come from a neighbouring office, which may result in a premium price. If this is the case we will let you know before you place your booking and/or offer you a 'local' alternative. VIP Transfers Wirral .::. VIP Airport Transfers .::. Ground Transportation for VIP's .::. Tour Guides .::. Celebrity transfers, shuttles and airport transfers .::. VIP Travel Services .::. Limos for VIP's and Celebrities .::. Limo hire in Wirral .::. Wirral Limos .::. Chauffeur Cars Wirral .::. Wedding Cars in Wirral .::. Limo Hire Wirral .::. Bentley Arnage Chauffeur Cars in Wirral .::. Rolls Royce Phantom .::. Jaguar XJ Chauffeur cars .::. Tours in Wirral .::. Royal Ascot Racing Wirral area .::. Limos Wirral .::. Licensed Limo Company Wirral .::. Licensed Limos Wirral .::. White Limos .::. Black Limos .::. Red Limos .::. Candy Apple Red Limos .::. Silver Limos .::. Chrysler 300 Limos .::. Lincoln Limos .::. Hummer Limousines .::. Legal limousine hire .::. Prom Limos .::. Business Travel Wirral .::. Wirral airport transfers .::. Ground transportation Wirral . ::.